Pinterest has been creating quite a stir in the social networking world over the past months. 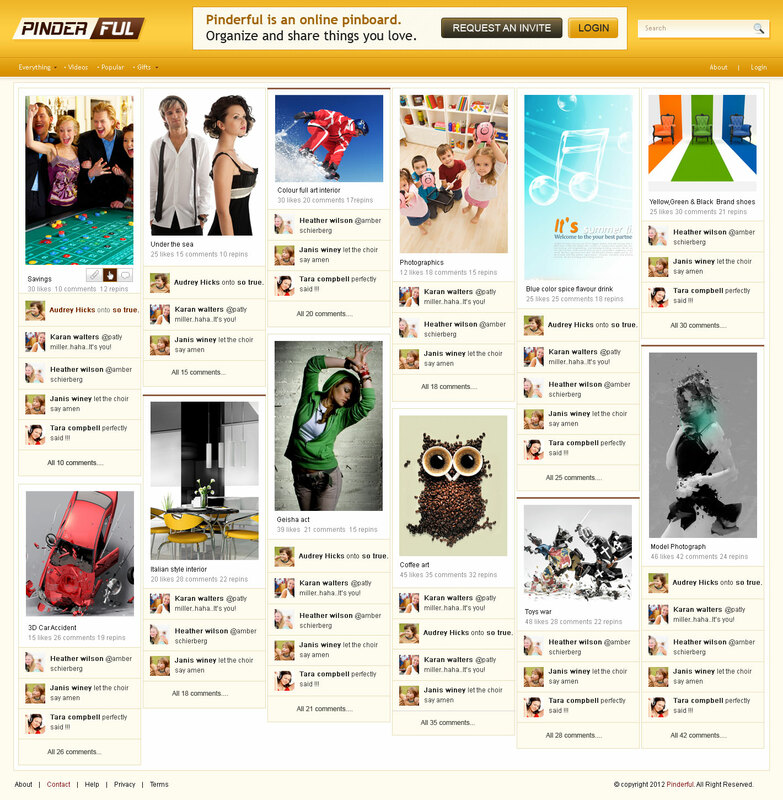 With the growing demand for better and far innovative version of this increasingly popular online virtual pinboard, the Cogzidel team has set their eyes on generating waves of interest with the unveiling of its new product named “PINDERFUL“, a pinterest clone script. Trust Cogzidel not to do things by half measures. The new pinterest clone script has all the bells and whistles, specifically designed to be a powerful launch pad and platform for online businesses to tap into the full power of social networking. Since its announcement of this latest project, a lot of people have expressed in getting their hands on this new product. Well, the wait is finally over. Cogzidel Technologies has launched the much awaited Pinterest clone script for its global users. Customers can reach out support@cogzidel.com to know more about the price and online demo of this social photo sharing software. Not quite sure what to do with it? Get your hands on this highly advanced script and create your own virtual network and may be even focus on a specific target market. By generating interest and encouraging people to interact and post their ideas on every imaginable topic, it will just be a matter of time before you attract advertisers to tap into this online community and reach out to their audience. Previous Entry How QR Code optimization helps in businesses and to make conversion? Next Entry Where can I find a right Pinterest Clone Script?